Mahabharata is the epic story of Kurukshetra war and the story of Pandavas and Kauravas. This itihas formed the guiding principles of Bharat. The Kurukshetra war is believed to have happened around 5000 years back. But the places associated with Mahabharata still carry the tell-tale signs of the great epic. The walk through below introduces some of those important places and its significance today. Vyasa Gufa or Vyasa Cave is an ancient cave located on the banks of Saraswati river at Mana village in the Chamoli district of Utterakhand. 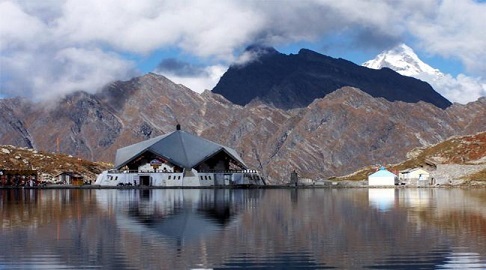 Mana is the last Indian village located at the Indo- Tibet border. It is believed that Vyasa composed Mahabharat here with the help of Lord Ganesha. There is a Vyasa statue here. The serration of the rock looks like pages of a book. Ganesha cave is also nearby. Mana is also the place through which Pandavas walked to Swargarohini. 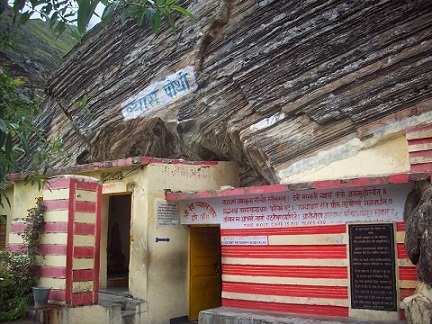 Vyasa Cave is at Mana Village 5.5km from the Badarinath Temple. Nearest Railway station is Haridwar, 336km away. Suryakund, on top of the Milam glacier is a hot water spring where Kunti gave birth to her first son Karna, fathered by Surya Dev. Nearest airport is Jolly Grant Airport in Dehradun 114km away. Nearest train station is Harrawala. Buses are also available from Rishikesh Railway station. From there go to Gangotri. Surya Kund is 500m ahead of Gangotri temple. 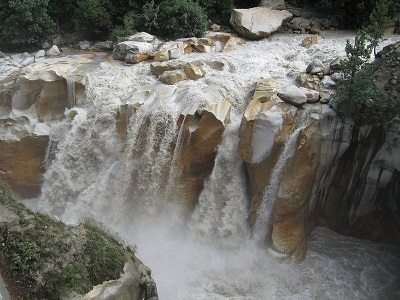 The Village of Pandukeshwar is situated in the Chamoli District of Uttaranchal. 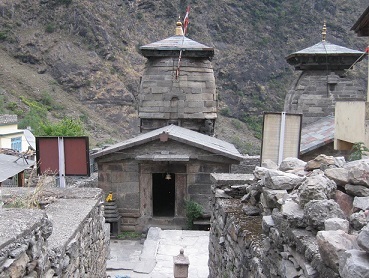 The village is around 20 km from Joshimath and 25 km from Badrinath. It is believed that King Pandu, father of Pandavas performed penance here to atone the curse befallen him after killing two mating deer which were actually a sage and his wife. It is believed that Pancha Pandavas were born here and Pandu died and attained salvation here. Pandu is believed to have installed the bronze image of Vishnu in the Yogadhyan Badri shrine. Nearest airport is Jolly Grant Airport in Dehradun and Railway station is Rishikesh. 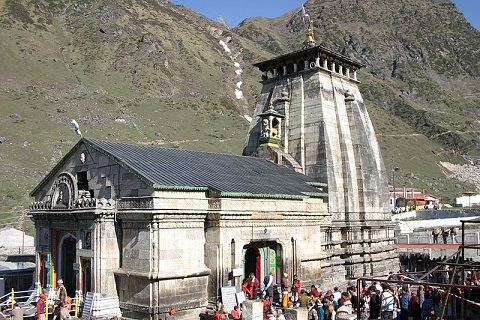 The temple is 18km from Badrinath and 23km from Joshimath. Both these places are 290km from Jolly Grant airport and 274km from Rishikesh. 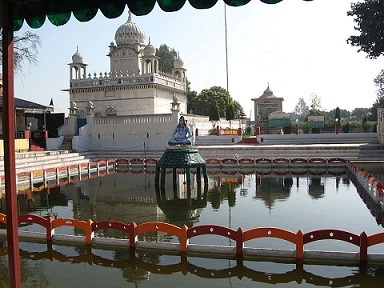 Drona Sagar Lake situated in Kashipur in the state of Uttarakhand is believed to have been created by Pandavas for their Guru Dronacharya as Gurudakshina. Water of Drona Sagar is believed to have as holy as the water of Ganga. Nearest Railway station is Kashipur and the nearest airport is Pantnagar around 65km away. This is where Pandavas lived during their exile with Kunti Devi. This place surrounded by a few Keli Kadamba trees. It is here the Pandavas killed Bakasura to save the villagers. 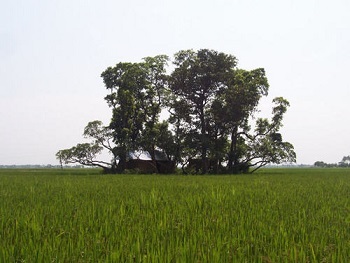 Ekachakra is located at Rampurhat in the Birbhum District of West Bengal. 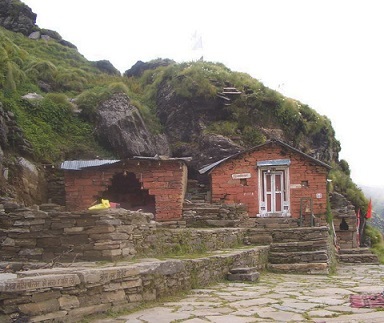 It is believed that Pandavas stayed here for a short time during their exile. 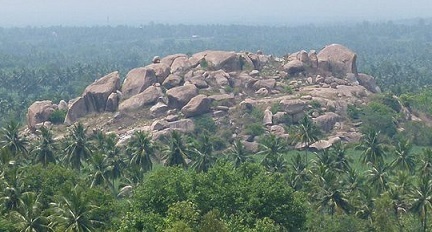 Kunthibetta hills is an attraction here named after Kunti, mother of Pandavas. Pandavapura is located at the Mandya District in Karnataka. Pandavapura is approximately 130 km from Bangalore and 25 km from Mysore. It is believed that Karna used to take bath in this lake. It was here Karna gave away his protective armour to Indra, the King of the Gods. 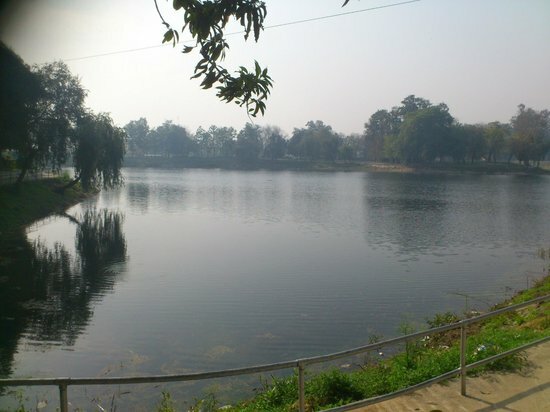 Karna lake is located equi-distance from Chandigarh and Delhi, around 125km away. Kurukshetra was named after the ancestor of Pandavas, King Kuru. The significance of the place is that Kurukshetra war was fought here and Bhagavat Gita was preached here by Lord Krishna to Arjuna. Kurukshetra is 83km from Chandigarh airport. You can alight at Kurukshetra Junction station by train. Jyotisar is a town on the Kurukshetra-Pehowa road at Kurukshetra district of Haryana. This is where Krishna preached Bhagavat Gita to Arjuna. The Banyan Tree under which Bhagavat Gita was preached still stands. 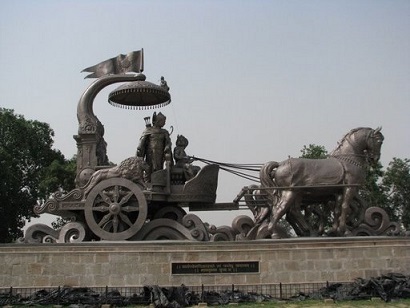 A marble chariot, with Krishna and Arjuna marks the place where Bhagavat Gita was preached. 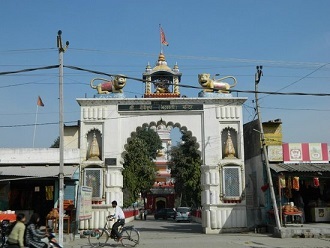 Sthaneshwar Mahadev Temple located at Kurukshetra district is where Pandavas along with Krishna prayed to Lord Shiva and received his blessings for victory in the battle of Mahabharata. No pilgrimage of Kurukshetra is believed to be complete without a visit to this ancient, holy temple. This is where Bhishma Pitamaha lay watching the Kurukshetra war on the bed of arrows created by Arjuna. Now there is a Bhishma Pita maha temple here and a water tank called Banganga or Bhishma Kund. The legend says, Bhishma felt thirsty and asked for water and Arjun immediately shot an arrow into the ground and let loose a stream of gushing water. Amin is located 12km from Kurukshetra city. It is also known as Abhimanyu Kshetra. The fort here is completely ruined and only remains exist. There is a mount here, which is the site of Chakravyuha where Abhimanyu was killed by Jayandratha. Indraprastha was the capital of Padava’s Kingdom located in the region of present-day New Delhi. The site lies west of Tanesar and south Auja Ghat which marks the place where bodies of those slain in Mahabharata war was cremated. 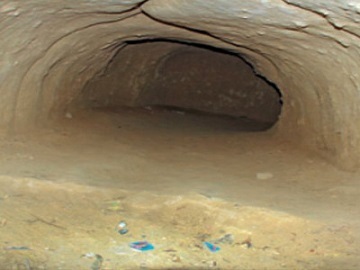 An excavation in the area found painted greyware and pottery used during the Mahabharata era. There are no marked areas to denote the location as the exact location is still debatable. Hastinapur is located at the Meerut district in Uttar Pradesh. Hastinapur was the capital of Kuru Kingdom. Delhi airport is 120km from Hastinapur. Meerut City Station is the nearest railway station 44km away. The site of the ‘Lakshagriha’, the house of lac which was built by was built by Purochana a minister of Duryodhana to kill the Pandavas. The house was later burned to ground by Kauravas hoping that Pandavas will perish in the fire. But the brothers escaped through the tunnel. Baghpat is located in western Uttar Pradesh, on the east bank of the Yamuna River. It is 40 kilometres’ northeast of Delhi and 52 kilometres west of Meerut, on the main Delhi–Sharanpur highway. After the Mahabharata war, the Pandavas wanted to wash off the sins of their fratricide. They sought the blessings of Lord Shiva to pardon them and bless them to attain salvation. But Shiva avoided them by assuming the animal form of a bull and left for the Himalayan Garhwal region. After sighting Siva at the hills of Guptakashi, Pandavas tried to hold the bull by its tail. But the bull disappeared and reappeared later at five places; in the form of a hump at Kedarnath, in the shape of bahu (arms) at Tungnath, with his face at Rudranath, his nabhi (navel) and stomach at Madhyamaheswar and his hair (locks) called jata at Kalpeshwar. 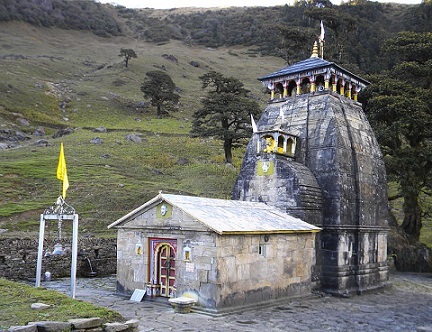 Pandavas have established Shiva temples in all these five places. Nearest airport is Jolly Grant Airport situated 240km away. 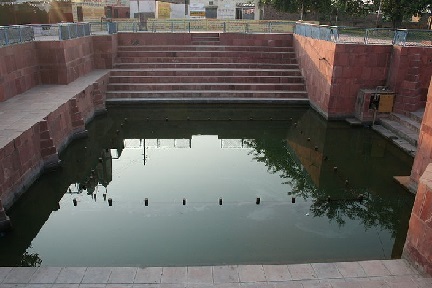 It is connected to Gaurikund through buses and taxis. From Gaurikund, it is a 14 Km trek to Kedaranath. Rishikesh is the nearest railway station around 200km from Gaurikund. 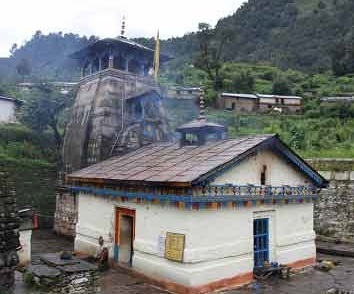 This is the highest Shiva temple in the world located in the mountain range of Tunganath in Rudraprayag district, in Uttarakhand. Jolly Grant in Dehradun is the nearest Airport about 260 km away. Taxi and buses are available from Dehradun to Chopta. From Chopta it is only 3.5km by trecking. Haridwar is the nearest railway station 225km away from Chopta. 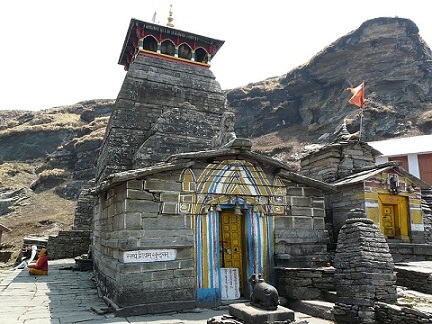 Rudranath is the third temple to be visited in the Panch Kedar pilgrimage circuit, after Kedarnath and Tungnath. Madhyamaheshwar and Kalpeshwar to be visited after Rudranat. The nearest airport is Jolly Grant, Dehradun (258 km). The nearest railway station is Rishikesh (241 km). Most trekking routes to Rudranath are from Gopeshwar or nearby places. A motorable road is present up to the village Sagar — 5 km from Gopeshwar, beyond which a 20 km trek has to be undergone to reach Rudranath. Nearest airport is Jolly Granth Airport in Dehradun around 200km away. The nearest railway station is Rishikesh which is 180km from Guptkashi and buses are available from there to the temple. This is the only Panch Kedar accessible throughout the year. Kalpeshwar is 255km away from Rishikesh via Rishikesh-Badrinath road. The temple is a 2km treck from Ugram. It is located in Chengannur, Alappuzha District, Kerala. 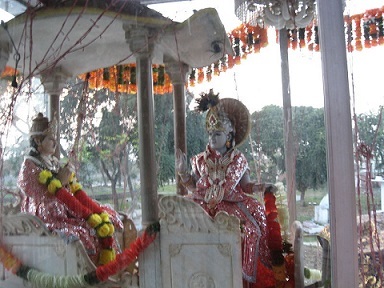 This temple is believed have been built by Yudhishtira. During the war, Yudhishtira lied to kill Dronacharya. To overcome the sin, he took penance worshipping Lord Vishnu here. Imayavar(Devas) came to this place prior to Yudhishtira hence the deity here is referred as Imayavarappar. The nearest railway station to the temple is located in Chengannur, and the nearest airport is Trivandrum International Airport. 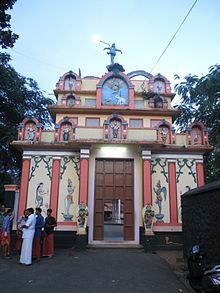 This temple is located in Puliyoor, Alappuzha District, Kerala. Puliyur temple is believed to have built by Bhima. 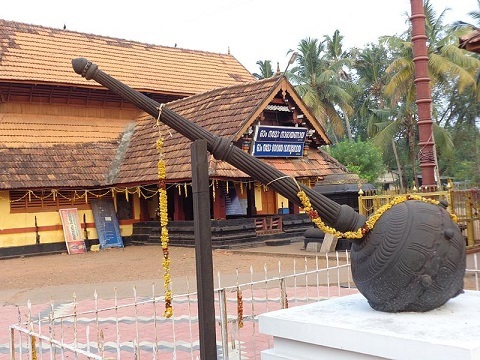 This temple is located at Aranmula, a village in Pathanamthitta District, Kerala. This temple was built by Arjuna. Parthasarathy is another name for Krishna which means Arjuna’s Charioteer. It believed that Arjuna built this temple, to expiate for the sin of killing unarmed Karna which was against Yudha dharma. 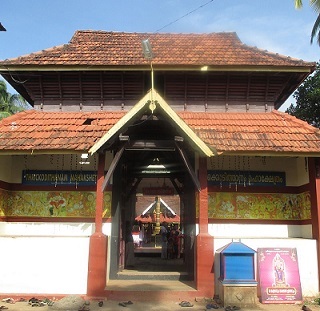 This temple is located at Thiruvanvandoor, Alappuzha District, Kerala. Here Maha Vishnu is worshipped as Paambanaiappan. The deity got this name because of the nearby Pampa river. 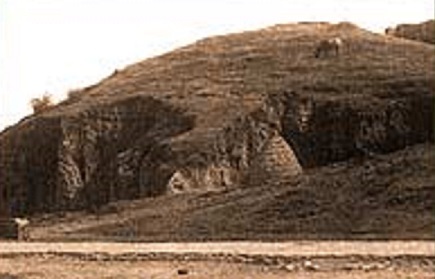 This temple is believed to have built by Nakula. 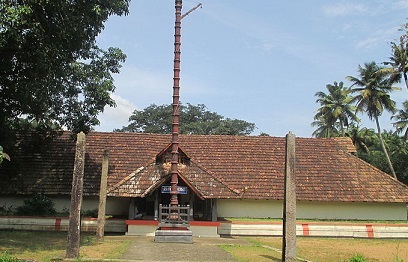 This temple is located at Thrikkodithanam, Kottayam District, Kerala. Here Lord Vishnu is worshipped as Athpudha Narayanan. This temple was built by Sahadeva. 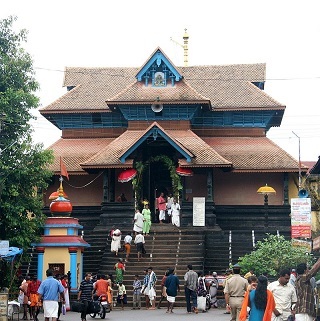 The nearest railway station to the temple is located in Changanassery, while the nearest airport is Cochin International Airport. Swargarohini is a mountain massif in the Bandarpunch Range in the Uttarkashi district of Uttarakhand. This is the path Pandavas choose to go to heaven but only Yudhishtira and the dog reached heaven. It is also believed that this is the only way one can go to heaven without leaving the human body.